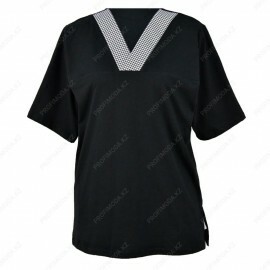 Semi-adjacent model, short sleeve, trim on the neck. 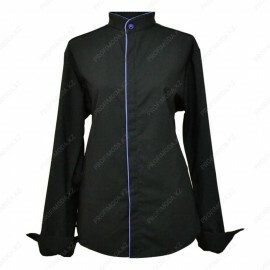 Cloth knitted fabric..
Stitched silhouette, collar stand, long sleeves, trim. The supersize clasp. 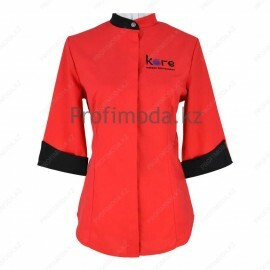 Gabardine Cloth..
Free cut. The neck is assembled on an elastic band. ..
Short sleeve, patch pockets. Button closure..